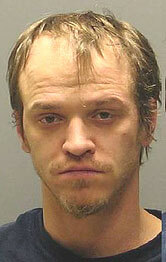 A northeast Iowa man is charged with first-degree murder in the death of his infant daughter. The Iowa Division of Criminal Investigation says 31-year-old Randy Lee Blanchard of Nashua was arrested February 8th after it was reported his 12-day-old daughter Aliya was being treated at a Waterloo hospital. The girl lived in Nashua with Blanchard and her mother Annette Eilderts. Officials at the Waterloo hospital say the girl was transferred from the Floyd County hospital on February 5th with what appeared to be symptoms of "Shaken Baby Syndrome". Blanchard was arrested in Rochester, Minnesota and originally charged with child endangerment causing serious injury, but the baby girl died Monday and the charge against Blanchard was upgraded. Blanchard has waived extradition back to Iowa, and will be returned to face the murder charge.